Living in Columbus for 16 years has certainly changed my views on the restaurant and dining scene. I could (literally) dine out every day for months and months (and months and months) in Columbus or a nearby suburb--and never visit the same restaurant twice. Sometimes; however, you want to visit the same restaurant again and again. If you have ever had the pleasure of dining at Schmidt's in Columbus' German Village--you know that you are just somehow compelled to come back. If I find myself in (or within 10-15 minutes of) German Village--I am going to go to Schmidt's. 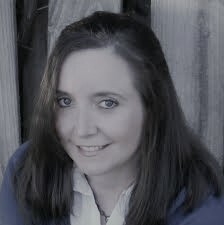 I realized that we have gone there again and again--but, I've never shared a review. 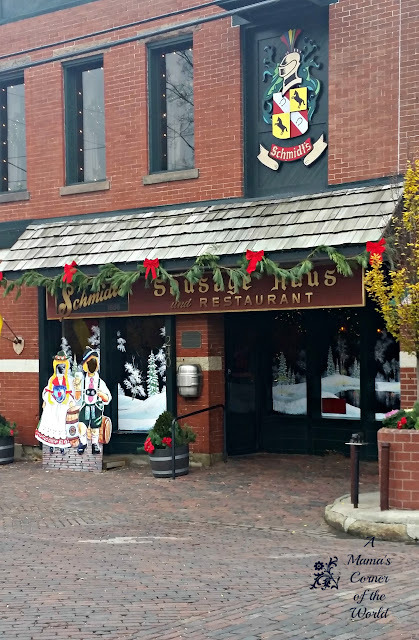 What is our review of Schmidt's Sausage Haus and Restaurant in Columbus' German Village? Schmidt's sits in the midst of an old world village in a modern-day city. German Village, in Columbus, is known for its brick-lined streets and old-world, German architecture. Strolling down the streets of German Village is like stepping back in time. The homes are well maintained, historically preserved, and lend well to the unique shops and restaurants dotting the streets. Schmidt's prominently occupies its spot on Kossuth Street. Visitors may be hard pressed to find parking in the restaurant's lot--but, there are several spots for on-street parking within a reasonable walk to the restaurant. 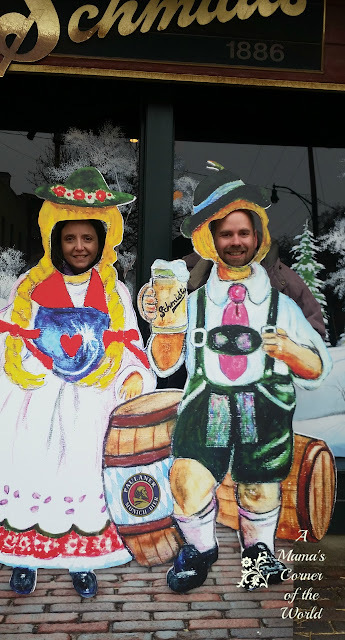 You just have to pose for the kids behind the German cutouts adorning Schmidt's storefront so that the kids can embarrass Mom & Dad on Instagram...or you can embarrass the kids...depending on the ages! How is the service at Schmidt's? The servers don German-themed apparel and the sights, sounds and decor of Schmidt's set the tone for the menu. We have never received poor service at the restaurant. The servers are always well spoken, polite and very efficient. We generally find ourselves at Schmidt's for lunch--and join the line forming before the doors are open. No matter the crowd inside, our service has always been the same. We are never rushed. 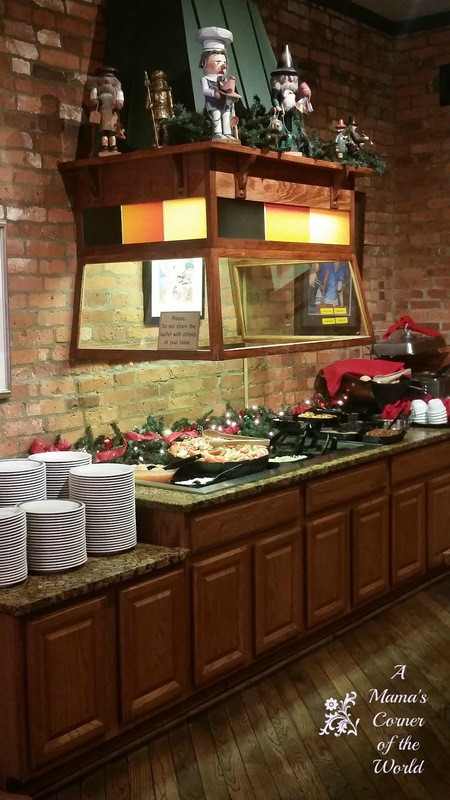 Dining with children or large groups has never seemed an inconvenience and we have always felt welcomed. How is the food at Schmidt's? I noticed that my pictures from a few years ago are virtually identical to the food in my pictures from our latest visit. 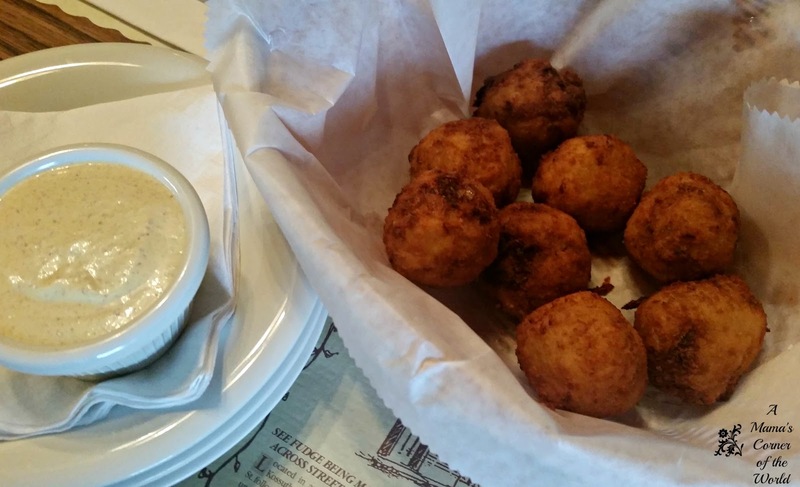 The menu rarely changes at Schmidt's--and that is okay by us. When you find a good thing...why change it? You won't find exotic ingredients and an ever-changing, local foods menu like many of the restaurants in the nearby Short North. 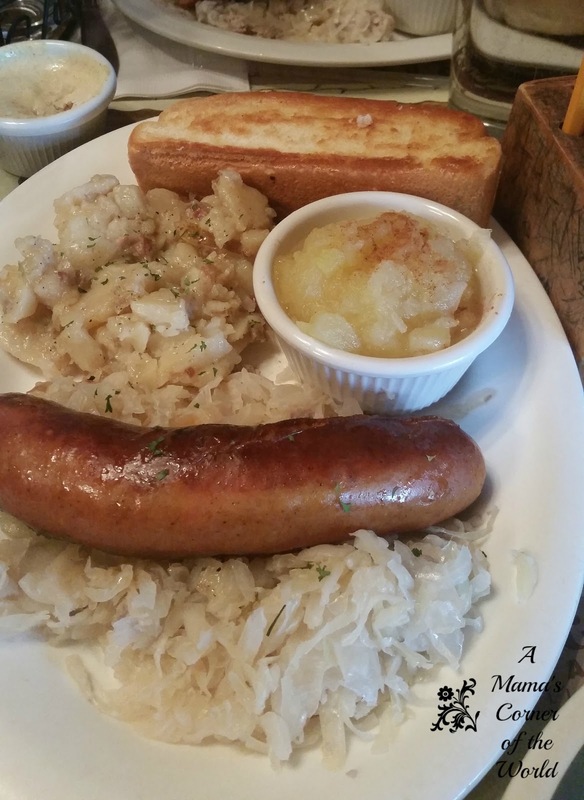 What you will find at Schmidt's is old world, German inspired, calorie-laden, comfort food. We usually order the pretzel nuggets. They are served with a mustard sauce and are always a hit. The last time we visited--I insisted on the sauerkraut balls. I had never tried them--and now I crave them. I will never be able to skip them on the menu again. I just realized that I didn't take a picture of the beer during our last visit. I can literally barely lift the "stein" when the server drops it off. I have to hold it with two hands (not kidding)...and probably look ridiculous trying to lift it to my mouth! The restaurant has a contract for their brewing with the Elevator Brewing Co. in Columbus--and I was negligent in noting which brews we chose for this visit. BUT-- I can say that my husband's German heritage is evidently stronger than mine as he prefers more darker, "German" beer varieties than I do. This is the sausage "sampler", if you will. Someone (or a couple of someones) in the group always orders this and we share it. It comes with sauerkraut and warm, German potato salad, a sausage roll and applesauce. Schmidt's "secret seasoning" spices up this sausage plate. It is also served with sauerkraut and warm, German potato salad, a sausage roll and applesauce. They offer a "milder" version of this sausage on the menu--but, our spice-sensitive middle daughter thought the original was fine--so it may not be as "spicy" as you fear! I have never tried the buffet at Schmidt's; aptly called the Autobahn. I see others enjoying it--and I've never heard a complaint in all of our visits. Once the husband and I are visiting the restaurant without the kids or without a large group of share-a-meal-ready family or friends--we will probably be at the buffet so that we can have a little bit of everything! As a personal note (at my middle daughter's reminder)--cream puffs are on the buffet. While you wait to be seated, you will stand by the filled pastry and dessert case. The first thing our middle daughter saw was the chocolate cream puff. 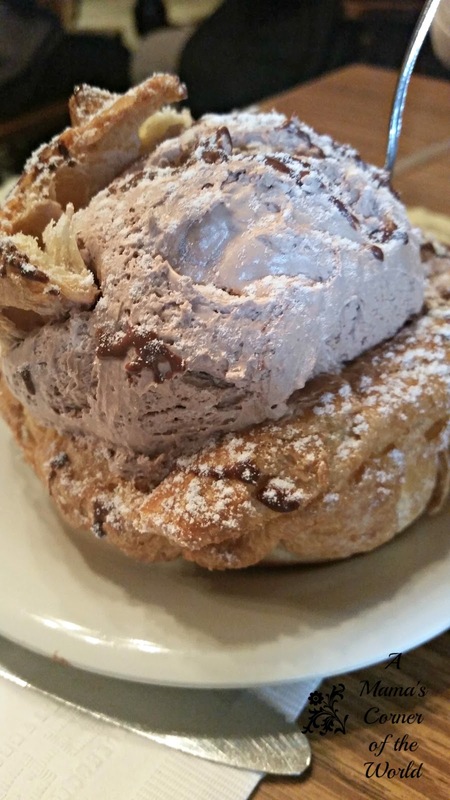 There is no escaping Schmidt's without a cream puff--you cannot do it. 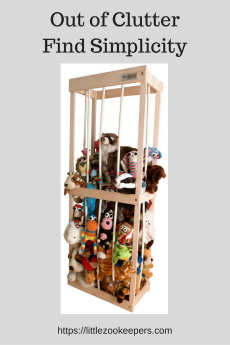 But, they are massive (they weigh 1/2 pound) and I would suggest sharing one--especially with kids. While my girls would eat an entire cream puff without blinking....sharing is caring. Especially for parents seeking to avoid a sugar rush/sugar crash. Final Thoughts on Schmidt's in Columbus' German Village. 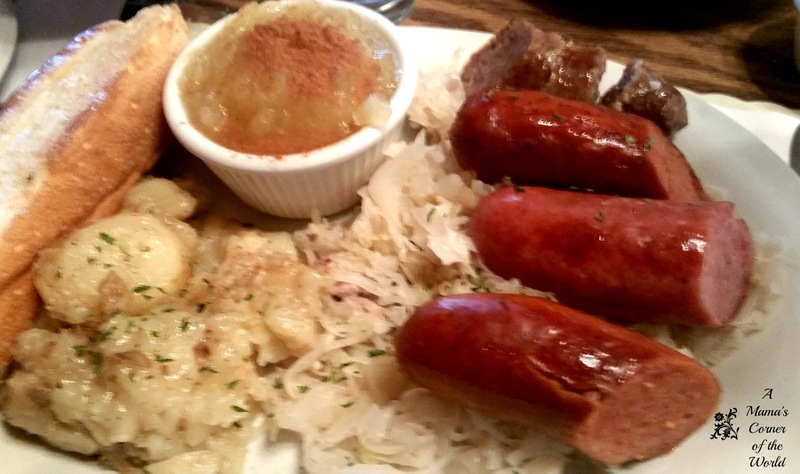 If you like German food--and find yourself in Columbus--you need to go to Schmidt's. If you aren't sure if you like German food....go to Schmidt's and let them try to convert you. My girls have names like Eichenlaub, Dormeier, and Koenig dotting the family tree--so, it was fun to watch even our middle daughter enjoy the German food experience at Schmidt's. This is one of the few restaurants that we return to again and again. Our youngest daughter will even seek out the Schmidt's food truck at local festivals and such. (Yes--the family can be eating Irish stew at the Dublin Irish Festival...and she is standing in line at the Schmidt's truck. Every year.) We have never had bad food. We have never had bad service. We highly recommend Schmidt's. You aren't going to find much vegan, vegetarian, gluten free, allergen sensitive options on the menu. Our middle daughter is not a meat fan. She loved the sausages. She isn't a spice fan. She loved the Bahama Mama. She isn't a fan of "exotic" tastes. She didn't like the sauerkraut...but the applesauce was right up her alley. She even recommends Schmidt's. Expect a crowd. We have been creating a 10-12 person line 20-30 minutes before they open. In the winter. Schmidt's is a local favorite--and a bit of a tourist attraction as well. Plan to wander German Village. Explore the shops, admire the houses, and enjoy the preservation effort in place to keep this part of the city "old". There is a candy shop adjacent to Schmidt's that the girls highly recommend as well. Take a picture or 10. German Village makes me smile. The tiled roofs, the brick-lined streets, the small (local) shops and restaurants featuring Columbus area artists, bakers, and the community make this area an experience. Let us know what you thought! Did you love it? Disclosure: We were not compensated for this post. We simply wanted to share one of our favorite restaurants. If you know of a restaurant we should review in our area....Midwest/Midatlantic/Appalachia/Southern US...email us! 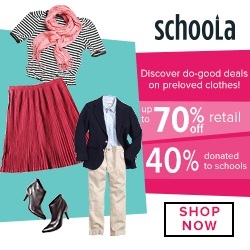 We would love to visit your favorites! Love your review. This sounds like a delicious restaurant. I will have to check it out when visiting.